North London Colonic Irrigation | How Much Does The Treatment Cost? 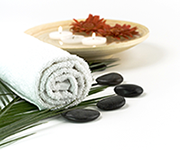 To book a colonic irrigation treatment please contact Deborah Laniado or call 020 7411 9824. "Just one day after the session, I feel a lot clearer and more in control of my health." "The experience was absolutely amazing and I felt better for it. Debbie was extremely professional, gentle and understanding. I would definitely recommend anyone considering having a colonic to see Debbie." Recommend a friend to North London Colonics and get another £10 off your next session when they book in! Please give 48 hours notice for changes to your appointment. Deposits will not be returned if cancellation is less than 48 hours from a booked appointment. No financial details are stored on this website. Parking permits can be purchased for £2.50 per hour. Longer sessions are available and charged pro-rata.